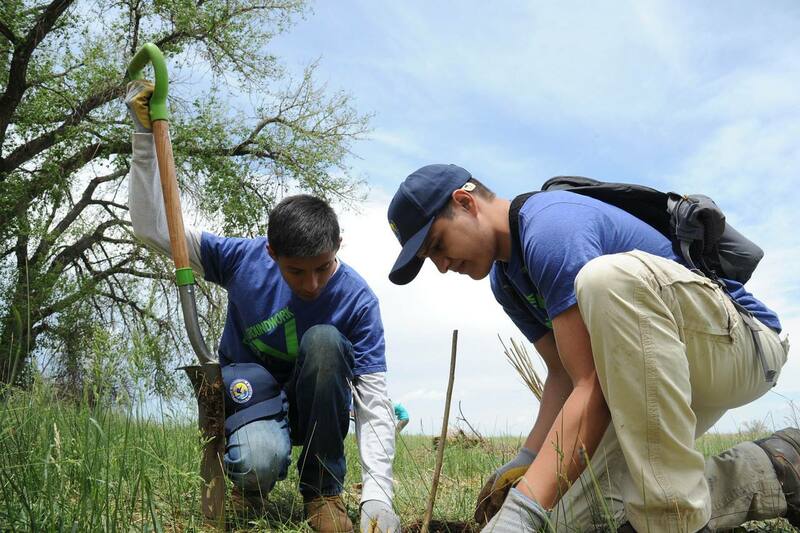 Groundwork Denver is currently partnered with both Rocky Mountain National Park and the Rocky Mountain Arsenal National Wildlife Refuge. Our Green Team youth employment programming sends youth to work on projects and learn about natural resource and wildlife management in both of these federally protected spaces. Rocky Mountain Arsenal National Wildlife Refuge is only 10 miles from Denver’s urban core with 15,000 acres of short-grass prairie, wetland, and woodland habitat. It is a sanctuary for more than 330 species including deer, bison, coyote, bald eagles, prairie dogs, and burrowing owls. 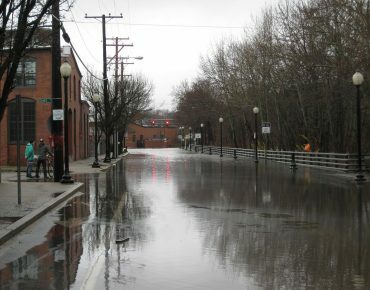 At the Arsenal, Groundwork youth are engaged in a variety of habitat restoration projects while experiencing a large natural area within sight of their familiar urban environment. Groundwork Greens is Groundwork Denver’s social enterprise project to grow and sell fresh produce to local restaurants, food purveyors, and farmers markets, while also providing job training to low-income youth from GW Denver’s Green Team. 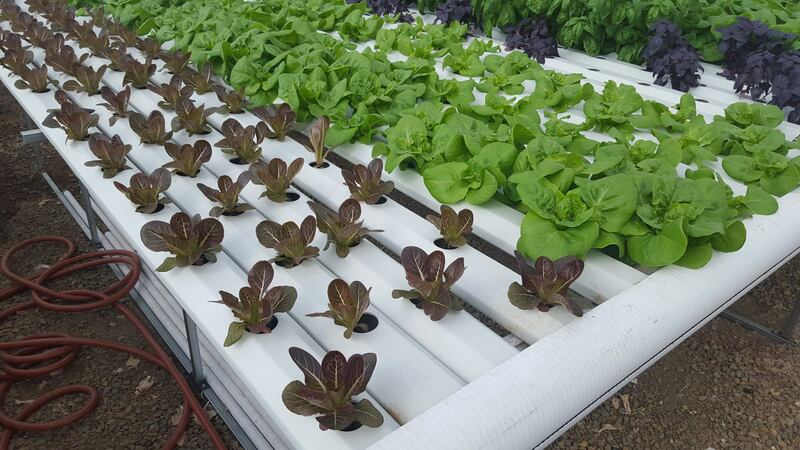 Groundwork Greens are grown in an 1,800-square foot greenhouse with the potential to produce up to 10,000 pounds of food per year using hydroponic growing systems. Thanks to developer Susan Powers, the Aria Denver team, and the Denver Office of Economic Development, Groundwork Greens is located within the Aria Denver Community at West 52nd Avenue and Federal Blvd. Groundwork Greens is a part of Cultivate Health, a collaborative effort to help support the health and wellness of residents living in the neighborhoods around Aria and Regis University. 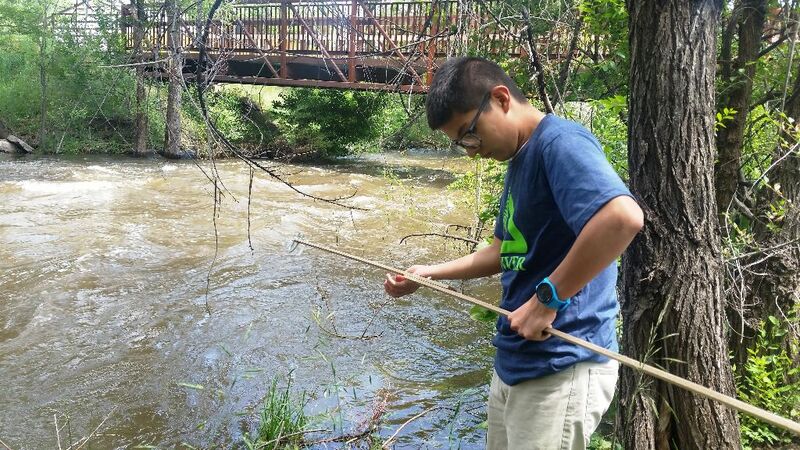 Groundwork Denver Blue Team member Fernando Chavez collecting a water sample from the Bear Creek in Sheridan, CO.
With the support of the Colorado Department of Public Health and Environment, Groundwork Denver and its partners created a non-point source watershed plan for urban Bear Creek in 2014. 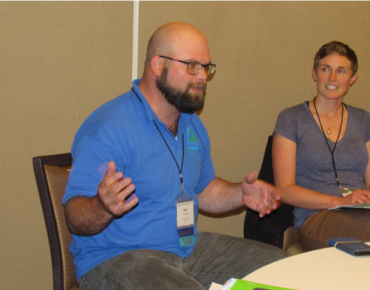 The primary goals of the plan include ongoing water quality sampling, partnership building, and community education and stewardship. 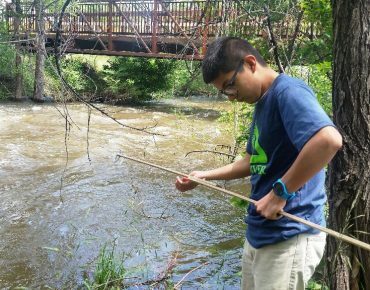 In the summer of 2015, Groundwork Denver recruited a team of six dedicated high school students from Sheridan High School to support our ongoing water quality sampling efforts. The “Blue Team” spent two months in the field collecting samples and field parameters. Groundwork Trusts Rock River Rally 2018!